Synopsis: A police detective reconnects with people from an undercover assignment in her distant past in order to make peace. Thoughts: Wow, Nicole Kidman continues to just be on a roll. It’s so interesting to see this actress continue to grow and flourish with each year, constantly surprising audiences with her choices and performances. Her bets may not always pan out but her films are never not worth noting. 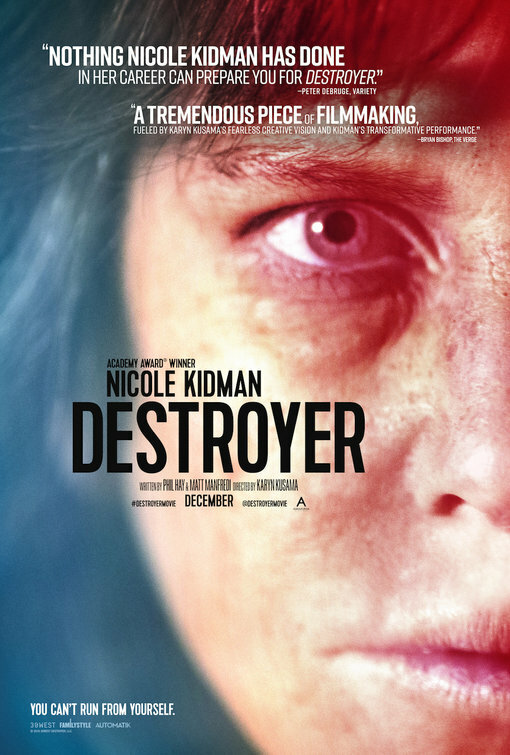 Coming out of its debut at several fall film fests, the buzz for Destroyer is that it’s another strong performance from Kidman (The Killing of a Sacred Deer) in an otherwise troubled film but this first look has got me hooked to know more. Directed by Karyn Kusama (check out her spooky The Invitation on Netflix pronto!) and co-starring Sebastian Stan (I, Tonya) and Toby Kebbell (Dawn of the Planet of the Apes), it’s another transformative role for Kidman and one I’m quite intrigued to see. Synopsis: A feature film based on the documentary “Our Brand Is Crisis”, which focuses on the use of American political campaign strategies in South America. Thoughts: Since winning her Oscar for The Blind Side in 2009, Sandra Bullock has chosen her projects cautiously. Many a Best Actress winner followed up their wins with one or more (coughcoughHalle Berrycoughcough) disappointing outings and Bullock wisely steered clear of making any hasty decisions. She took a supporting role in Extremely Loud and Incredibly Close, tried playing the straight man in The Heat, and found herself in the Best Actress race again with Gravity. In 2015 she voiced a villain in the animated Minions and she’s closing out the year in an adaptation of the 2005 political documentary Our Brand is Crisis. I have faith in Bullock and producer George Clooney, even if our first look at their collaboration leaves much to be desired. Maybe it’s because we can’t tell if it’s a high stakes drama or a goofball comedy and it certainly doesn’t help my interest at all that Billy Bob Thornton (Entourage) shows up (teeth first, cueball head second). Director David Gordon Green has an iffy record in my book but Bullock and good buzz sell it for me…still it’s not at the top of my fall movie list. Synopsis: A loner tracks the gang who stole his car from a desolate town in the Australian outback with the forced assistance of a wounded guy left behind in the wake of the theft. Thoughts: Australian director David Michôd made quite the splash back in 2010 with the release of two films, Hesher and Animal Kingdom, the latter especially gaining traction with critics and Academy voters who nominated Jacki Weaver (Stoker, Silver Linings Playbook) for Best Supporting Actress. 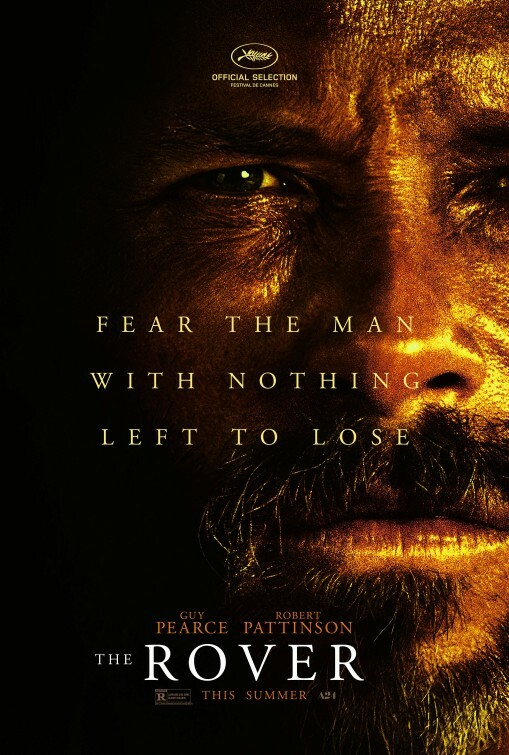 Michôd’s newest offering looks to be a dark as night tale told in the broad daylight following two desperate men, Guy Pearce (Iron Man 3) and Robert Pattinson (The Twilight Saga: Break Dawn), brought together by chance blazing a trail of violence across the Australian Outback. Good buzz precedes this film and I’m always interested in films from Down Under because they like to break all kinds of rules of cinema. Synopsis: An air marshal springs into action during a transatlantic flight after receiving a series of text messages that put his fellow passengers at risk unless the airline transfers $150 million into an off-shore account. Review: I’m that weird duck traveler that loves to head off for an adventure but dreads the flight that will take me to my destination. I don’t know why I have this irrational fear of flying and though I’m not someone that white knuckles it from wheels up to wheels down let’s just say that the sooner I’m back on solid ground the better. All that aside, can I just tell you how much I enjoy a thriller that involves any sort of in-flight dilemma? I’m sure the root of some of my fears has come from seeing various maladies befall passengers in the Airport films and the hostile takeovers of Flightplan, Executive Decision, Passenger 57, Turbulence, et. al. 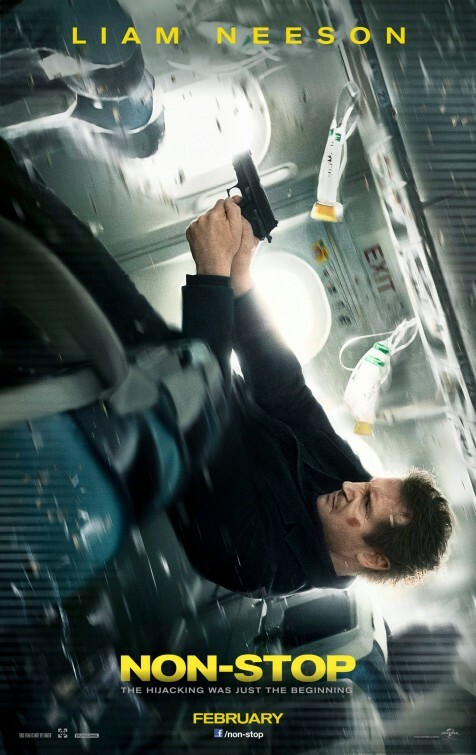 Though flying is the safest way to travel it can be the most dangerous when you toss in an action star like Liam Neeson looking for a killer on a transatlantic flight. Let’s get this straight…Non-Stop is exactly the quality of film that you think it is. It’s all muscle with little logic available to explain away large leaps of faith that it asks the audience to just go with. And y’know what…for the most part it works well as a short fused thrill ride that gets you cruising along nicely up at 40,000 feet before encountering some midflight turbulence in anticipation of a watery landing. Neeson (The Grey, The LEGO Movie) doesn’t have to stretch much to play a weary air marshal first class-ing it on a plane bound for London. The film opens by letting us know there’s more than a few red herrings that will be joining him as each person he passes in the airport somehow manages to turn slllloooowwwlllly around with a grimace on their face. For all we know, the entire plane is full of psychopaths. Though he’s seated next to a kinda quirky kinda mysterious female (Julianne Moore, Carrie) and doted on by a lovely trolley dolly (Michelle Dockery, showing she’s capable of more than merely looking glum on Downton Abbey) his attention turns to the mysterious in-flight texts he receives from a passenger threatening to trim the flight manifest every twenty minutes until a payload of 150 million dollars is delivered…to a bank account in Neeson’s name. So begins an in flight cat and mouse game that gets less interesting the more implausible it gets. 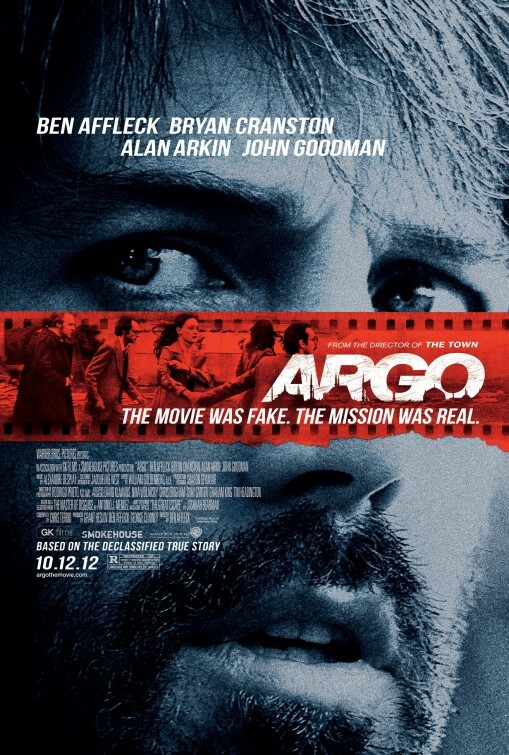 Non-Stop shows early promise with its slow burn first half but winds up flaming out long before the end is near. And that’s too bad because had it capitalized more on the Hitchcockian mystery it aspired to it may have been a film that would be worth repeat viewings. Director Jaume Collet-Serra has been behind the camera for several flawed but interesting thrillers in his short career. After the guilty pleasure House of Wax he scored nicely with the creep-fest Orphan before scaring us even more by casting the awful January Jones alongside Neeson in the marginal Unknown. Non-Stop is more middle of the road work and wind up being best known for wasting 12 Years a Slave star Lupita Nyong’o in a throwaway role – though she does rock some serious Fresh Price of Bel Air meets Grace Jones afro realness. If you’re willing to check your logic in the overhead bin and keep your rolled eyes in the upright position, Non-Stop is harmless entertainment. Synopsis: An air marshal must spring into action aboard an international flight. Thoughts: Well here we go again. Another preview for a movie with an interesting (if wholly also-ran) premise that seems to reveal the majority of the plot in an overlong trailer. I guess I just long for the days when trailers were more teasers than anything else and the bulk of the film was left to paying audiences. Fingers crossed that some surprises have been left for this February release because it boasts some watchable talent like Liam Neeson (The Grey, Battleship) and Julianne Moore (Being Flynn) and looks like a crisply made affair. I happen to love thrillers set on planes…probably because they both fascinate and terrify me so while this may end up as a harmless diversion of a B-movie, it’s got some A-list talent behind it that may help it take off. 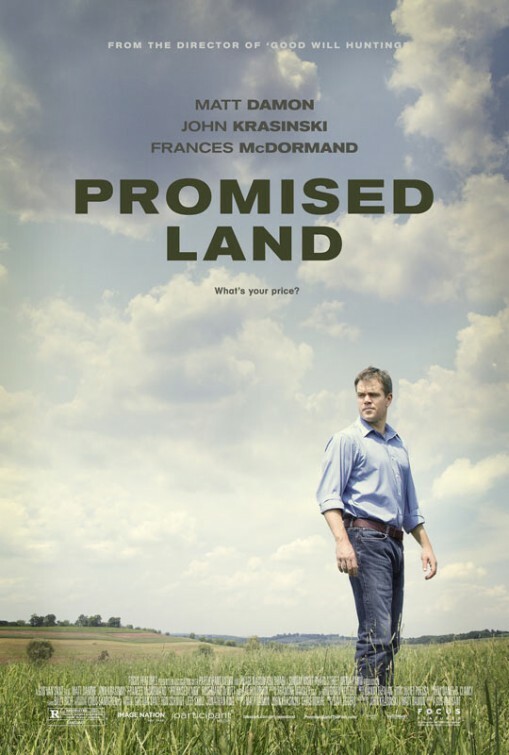 Review: The ads for Promised Land make it seem like it’s a cross between Erin Brockovich and Silkwood — while there is a definite David vs. Goliath element to the plot, it turns out that the film is less interested in the business side of things and more focused in the subtle exploration of what constitutes the “right thing to do”. In the end, the film is perhaps too subtle for its own good and ends up barely making a blip on the radar despite even keeled direction and strong performances. Damon and McDormand are representatives for a natural gas company that is looking to lease precious farm land from a community sitting on top of a 150 million dollar payload. Instead of going in as smarmy salespeople, the two seek to ingratiate themselves with the townspeople so they can make their pitch with ease. It’s a tricky balancing act to perform; we aren’t sure if they believe what they’re saying/selling so it’s hard to know what to discredit. We’re shown early on that the team of Damon/McDormand are at the top of their field, so it’s no surprise that any sort of problem with this particular town takes a while to become evident. It’s the combination of an informed retiree (Holbrook) and the appearance of an environmentalist with a personal story to tell (Krasinski) that throws two very big wrenches in what should have been an open and shut sales trip. I appreciated that the film kept the big city business element out of the picture – there’s very little involvement from the billion dollar company that has sent Damon and McDormand out to close the deal. Instead, we watch as the two continue to meet with their target audience to not only sell them on their plans but stand up to the claims that their mining procedures would eventually turn the soil and water toxic. Damon and Krasinski wrote the screenplay from a story by David Eggers and the piece is very timely. As we continue to deplete our natural resources and fight for oil overseas, there is the thought that we need to look within our own soil for a way to fuel our country. As farming begins to disappear across the US, the leasing of land to natural gas companies may be the only way for families and communities to survive. 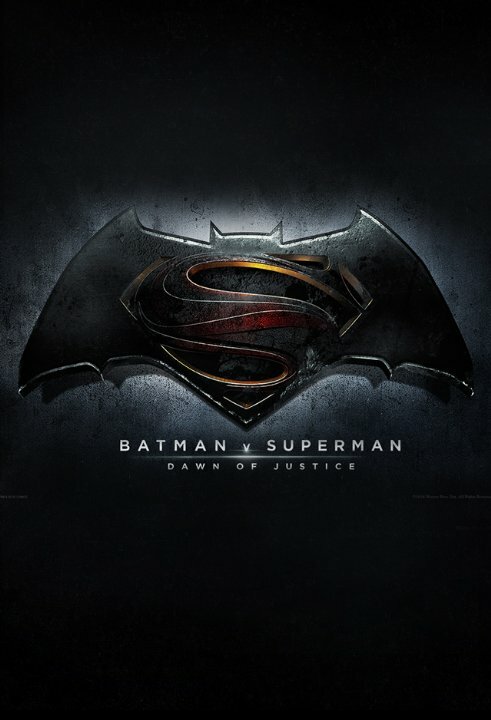 To its credit, the movie does make good points on both sides but because it never really takes a solid stand either way there is a feeling of neutrality that may leave some unsatisfied. Reteaming with his Good Will Hunting director Van Sant, Damon delivers a nicely nuanced performance — though I found it hard to believe that it’s this particular town that opens his eyes to problems within his company. A shoehorned semi-romance with a teacher (DeWitt) doesn’t seem to jive with the rest of the movie and the implied competition with Krasinski for her hand feels a bit too pat. Speaking of Krasinski, it’s clear that he’s got more in him than the character he’s played for nine seasons on television’s The Office but it’s strange that he’s written himself such a one dimensional role. It also bugged me that his environmentalist character is very concerned about chemicals in the ground but could care less about scattering hundreds of pamphlets around town and Damon’s truck. It’s really McDormand that quietly steals the show from her male counterparts. Clearly realizing this is simply a job to support her family, she can be equal parts bulldog and supportive parental figure. Her scenes with a local business owner (Welliver) have the kind of on the money feel that the film needed more of. Wearing little make-up and dressed down, she looks the part and acts it wonderfully. Swede cinematographer Linus Sandgren helps Van Sant’s even-keeled direction with a nice eye for small town life. There are the requisite shots of American flags, county stores, and endless fields of harvest but it’s straightforward enough to not feel gimmicky. Danny Elfman’s score is a far cry from the work he’s done for Tim Burton and it’s nice to hear something smooth and considerate from him. Promised Land is a perfectly fine film with good people doing good work. It’s going to fade from your memory quite fast and probably isn’t a movie you’ll revisit after it’s over. Perhaps it’s too small of a film to really have an impact on the big screen – had it been made for television it might have worked out better. That being said, it’s worth a watch if you’re a fan of anyone involved or some of the stronger thematic material it covers. 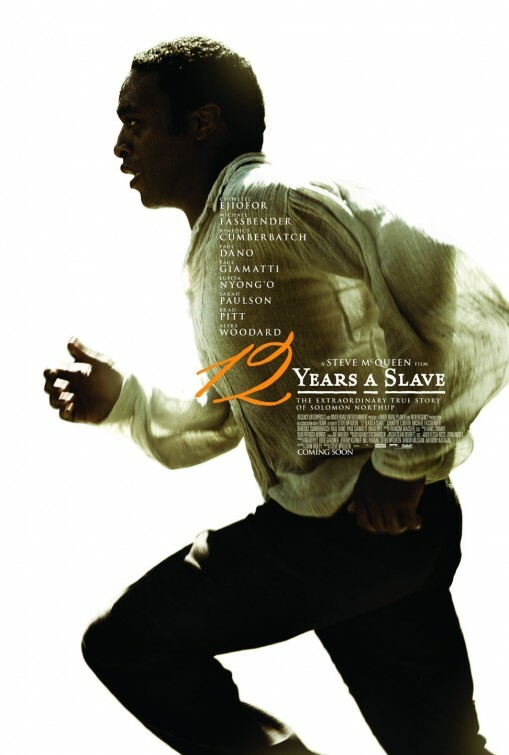 Thoughts: Director Gus Van Sant has been all over the map in recent years. Though he’s never been a mainstream director (save for his ill advised shot-for-shot remake of Psycho) he’s kept his profile low with indie projects that barely made a blip on the cinematic radar. With Promised Land, he reteams with his Good Will Hunting star for a drama that seems a little bit Erin Brockovich and a little bit The Music Man. With stars Matt Damon and John Krasinski also serving as screenwriters you can’t help but draw a teeny tiny comparison to the work that Damon did with Ben Affleck on Good Will Hunting. Assembling a strong cast and filming a story that seems timely and important, Van Sant may have another sleeper crowd pleaser on his hands.